Call us for your next crane project. Get the right equipment for your next project. Ball’s Crane Service offers 24-hour crane services with operator included. Whatever your crane lifting needs may be, whether it’s constructing signs or moving machinery, we have what you need to get the job done right. Do you have a big project on your hands? Do you need top-quality equipment and highly-qualified professionals to operate it? 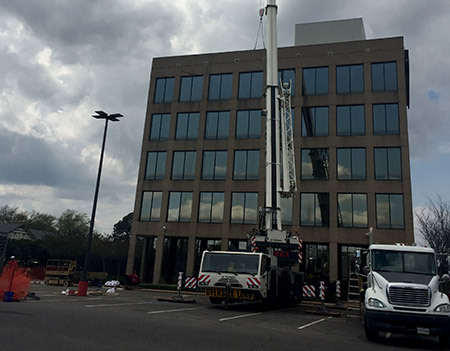 Ball’s Crane Service in Alexandria, LA is your perfect solution. We not only provide industry leading hydraulic cranes, we send an experienced technician to operate the machinery for you. Our cranes are compatible with LMI Systems and Anti-Two Block Systems and are inspected annually to ensure top performance. All our operators are NCCCO Certified. We are fully committed to delivering only the best for your project. It’s why we have been the premier crane service provider in Alexandria for over a decade. We are locally owned and operated, established in 2003. We bring over 35 years of experience to your project. Our services include top-quality cranes and certified operators. When you’re faced with a big project, contact the certified professionals at Ball’s Crane Service to get the job done right.